Congratulations to GKAR on the sweep! An honorable mention goes to the runner up for both categories, the West Michigan Lakeshore Association of Realtors®. In addition, Michigan Realtors® placed in 4th Nationally for total Highest Number of Investors, and 4th for Most Dollars Raised! Thank you to all who competed in the campaign! We appreciate your continued support of RPAC! NAR Tech Edge is plugging into Michigan this summer. The one-day tech focused conference will teach Realtors® how to adapt as new technologies impact their business. Registration is open for $49. 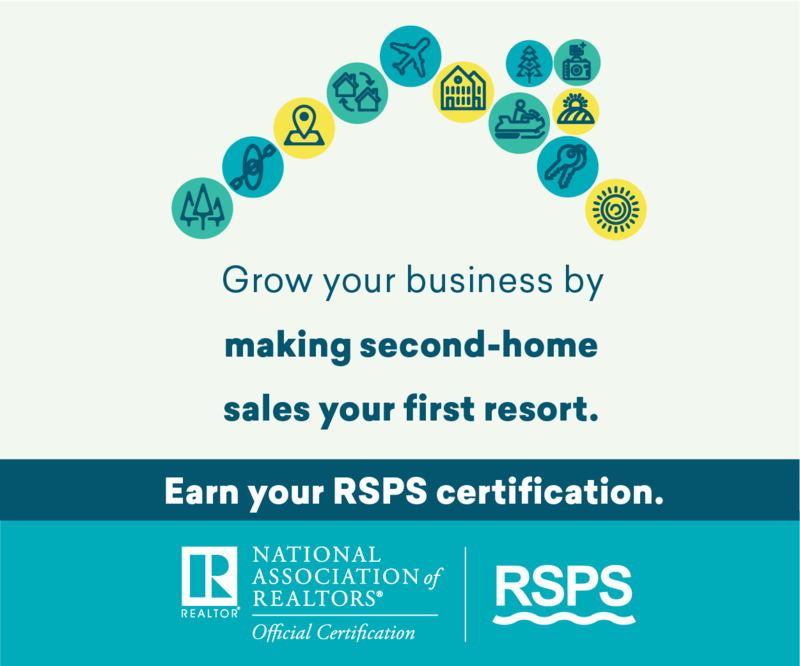 Register now, before rates increase! For the latest updates visit the NAR Tech Edge website. 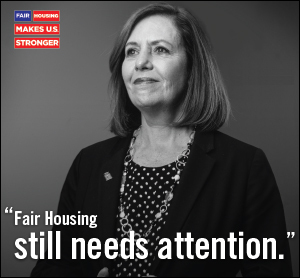 Read the next article of NAR’s monthly Fair Housing Act historical series. Helping You Stay on Track for Renewal! CE Marketplace wants to help you to stay on track to renew your license that expires on October 31, 2018. The site allows you to request copies of certificates for any CE Marketplace certified classes that have been reported on your record. 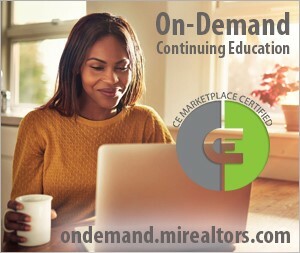 Classes that are not CE Marketplace certified can be added and certificates uploaded to your record under Add Self Reporting Credits. Why do this? If you are selected by the State of Michigan (LARA) for a random audit they prefer that all your continuing education be in one place. When you are Self-Reporting Credits please make sure to fill in all the fields that have the asterisk. 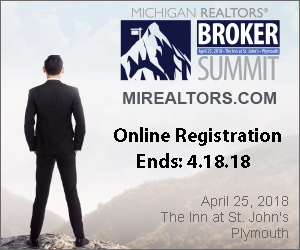 Michigan Realtors® is proud to provide assistance towards the higher education of future real estate professionals. If you are a college student seeking a career in the real estate field, you may be eligible to receive up to $3,000 in awards. The application deadline is May 31, 2018 for the following academic school year. My buyer just closed on the purchase of a home and is allowing the seller to have 60 days occupancy post-closing. Is there a limit to the time of possession allowed for the seller? NO. There is no law restricting the length of a seller’s occupancy period. Buyers who are entering into long-term arrangements should be encouraged to consult with an attorney about putting together a formal lease agreement. Buyers should also make certain that their insurance agent is aware of this arrangement and make certain that the correct insurance is in place. CE Marketplace Certified for 1.0 credit hour. 5. Helping You Stay on Track for Renewal! What Makes a GRI Stand Out?